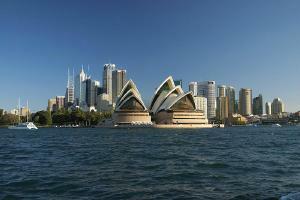 Australia maps from Omnimap, the leading international map store with 250,000 map titles. Australia National Park and Regional Tourist Maps. Australia Satellite Image Posters from Spaceshots. Autralia Handy Road Atlas. Hema. This is a handy sized spiral-bound road atlas of Australia. The atlas contains a variety of mapping with state maps at about 1:2,000,000, to around 1:500,000 for regions around cities. Although the maps have been reduced from larger-sized original mapping and some of the type is small and hard to read, the handy size and spiral-bound format make this a popular atlas. The maps show unsurfaced roads and 4WD tracks, railways, national parks and nature reserves, Aboriginal lands, places of interest, etc. Coverage of each state also includes a street plan of the central part of its main city, with a more general map of the suburbs and a road map of the city's region. The index section lists over 10,000 localities. Atlas size is 7 x 10 inches. Australia Road & 4WD Atlas. Hema, 2012. The Australia Road & 4WD Atlas has Australia-wide atlas mapping and a bonus 4WD mapping section, with facilities marked on the map for informed trip-planning and navigation. Australia Touring Atlas. Hema, 2012. Australia-wide atlas mapping that covers cities, states and regional areas, with facilities marked on the map for informed trip-planning and navigation. Australia Adventure Map. 1:4,250,000. National Geographic Maps. The Australia AdventureMap differs from a traditional road map because it includes hundreds of points of interest that highlight diverse and unique destinations within the country. National parks, World Heritage sites, caves, archeological sites, aboriginal settlements and protected lands are included, making it an invaluable resource to travelers hoping to experience all the history and culture Australia has to offer. Additional travel aids include the location of airports, lighthouses and ferry routes. Australia East Adventure Map. 1:1,970,000. National Geographic Maps. National Geographic's Australia East AdventureMap is designed to meet the unique needs of adventure travelers with its durability and detailed, accurate information. The map includes the locations of thousands of cities and towns with a user-friendly index, plus a clearly marked road network complete with distances and designations for major highways, main roads, and tracks and trails for those seeking to explore more remote regions. Northern Australia travel map. 1:2,500,000. 1996. Australian Surveying & Land Information Group. In English. Simple Conic Projection with two standard Parallels (18° and 36°S). This is an excellent tourist/road map of Northern Australia on a physical map base. The detailed legend and descriptive text make this an excellent resource. Two-sided. 75 x 100cm. $4.95 64-1391 one sheet, folded. Australia Travel Map. 1:3,500,000. ITMB. A clear, colorful travel map of Australia. Many towns are shown, major highways clearly identified, national parks and tourist sites are marked in different colors. Elevation and mountain ranges are shown by elevation tinting. This is a double-sided map, with one half of the country on each side. Indexed. $12.95 64-13905 one sheet, folded. Australia Travel Map. 1:4,500,000. Hema. Clear, indexed, road map of Australia, with 4WD tracks across the Outback. The map also shows national parks and reserves, Aboriginal lands, and military and other restricted areas. $14.95 64-13910 one sheet, folded. Australia Tourist Map. 1:5,000,000. AUSLIG. An excellent travel map that highlights tourist points of interest. A soft shaded relief background indicates topographic features. 107 X 95 cm. Australia Political Map. Political map showing Aboriginal lands and national parks. Size 29-3/4" x 23-1/2". Australia Wall Map - Executive Style. National Geographic Maps. Highly accurate Australia executive style political map clearly shows state boundaries, place names, bodies of water, parks and preserves, and more. Includes inset maps for Tasmania and major Australian cities. Size is 24 x 30 inches. Australia Political Wall Map. 1:7,000,000. Maps International. A beautiful and detailed map of Australasia at a scale of 1:7 million. This map measures 39 x 47 inches and is available in paper or laminated versions. $39.99 64-13466L One sheet, laminated. (Australia) State Touring Maps. UBD. These are typical state road maps. Each maps shows highways, main roads, tracks and railways as well as National parks, state reserves, state forests, conservation areas, prohibited areas, spot heights, lakes and rivers. Additional map detail includes mines, information centers, wells and places of interest. The map has a 30' latitude/longitude grid. Road distances are shown between major junctions and town symbols are classified according to population. On the reverse is an indexed map of the main city showing main roads, railways, recreational features and points of interest. Often there are additional thematic maps showing such themes as the State Forests, Conservation Areas, National Parks and World Heritage Areas. $9.95 64-13917M New South Wales. $9.95 64-13917N Northern Territories. 1:2,000,000. $9.95 64-13917S South Australia. 1:1,830,000. $9.95 64-13917W Western Australia. 1:2,000,000. Australia State Road Maps. Hema. These state maps have a detailed road map and are accompanied by touring information and relevant regional and city maps. Folded to 5.5 x 10"
$11.99 64-13881-NSW New South Wales State Road Map. 1:1,500,000. $11.99 64-13881-NT Northern Territories State Road Map. 1:1,800,000. $11.99 64-13881-QU Queensland Road Map. 1:2,500,000. 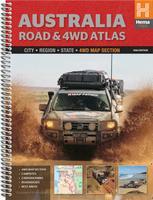 $11.99 64-13881-SA South Australia Road Map. 1:1,800,000. $11.99 64-13881-TA Tasmania State Road Map. 1:480,000. $11.99 64-13881-VI Victoria State Road Map. 1:850,000. $11.99 64-13881-WA Western Australia State Road Map. 1:2,500,000. Australia Regional Touring Maps. Hema, 2010-2013. $10.95 64-1388-99 Gold Coast & Region Touring Map. 1:70,500. 2013. A map that has the Gold Coast & Hinterland (1:100,000) on one side and the Gold Coast Suburban (1:50,000), Central Gold Coast (1:15,000), and Coolangatta to Tweed Heads maps on the other. The map functions as both a visitors guide as well as a familiar residents reference point. Size is 70 x 100 cm. $13.95 64-1388-49 Outback Touring Map. 1:1,000,000. Australia National Park Maps. We offer a wide selection of National park maps and regional tourist maps, published by Hema (a leading Australian map publisher), the Australian government, and the various state mapping agencies. The maps typically show elevation by shaded relief with some spot elevations; tourist features, 4WD tracks, and much more. Sample from the Kakadu N.P. map. Sample from the Purnululu N.P. map. $8.95 64-1388-36 Barrington Tops N.P. & Gloucester. 1:100,000. Hema. $21.99 64-1388-128 Cradle Mountain/Lake St. Clair N.P. Tasmap. $13.99 64-1388-134 Douglas-Apsley N.P. Tasmap. $15.99 64-1388-133 Freycinet N.P. 1:50,000. Tasmap. $9.95 64-1388-93 Girraween, Bald Rock, and Sundown Natl. Parks. 1:73,000. Hema. $12.95 64-13907KB Kakadu N.P. 1:250,000. Auslig. 1990. $12.99 64-1388-96 Kakadu N.P. Hema. $11.95 64-1388-262 Karijini N.P. 1:100,000. Natmap. $9.95 64-1388-154 Litchfield N.P. 1:30,000 & 1:120,000. Maps NT. $12.95 64-1388-165 Purnululu N.P., the Bungle Bungle. 1:100,000 & 1:225,000. Hema. $12.99 64-1388-53 Snowy-Kosciuszko & Manadgi Natl. Parks. Various scales. Hema. $11.99 64-1388-94 Sundown National Park. Hema. 1:50,000. $9.95 64-1388-58 Warrumbungle Natl. Park. 1:40,000. CMA. $9.95 64-1388-155 Watarrka N.P. & Kings Canyon. 1:100,000. Maps NT. $8.95 64-1388-59 Wollemi Natl. Park. 1:190,000. Hema. Tasmania Travel and Hiking Maps. Tasmap. This series of maps covers the National Parks in Tasmania, plus additional popular hiking areas. $15.99 64-1388-138 Frenchmaps Cap map. 1:50,000. The magnificent quartzite dome of Frenchmans Cap (1443m) is a mecca for bushwalkers and climbers. The panoramic view from the peak on a clear day includes Mt Ossa, features of the southern end of Cradle Mountain - Lake St Clair National Park and Macquarie Harbour to the west. $21.99 64-1388-128 Cradle Mountain - Lake St. Clair National Park map. 1:100,000. Waterproof. Rugged mountain ranges, alpine gardens, waterfalls, temperate rainforests and unique wildlife abound in the Cradle Mountain - Lake St Clair National Park, one of Tasmania's most famous natural areas. $13.99 64-1388-134 Douglas - Apsley National Park map. 1:50,000. Situated between Bicheno and St Marys, Douglas-Apsley National Park is a place of rugged and wild beauty. Dramatic waterfalls, tranquil rockpools and the largest area of undisturbed dry sclerophyll forest in Tasmania await the visitor. $15.99 64-1388-133 Freycinet National Park map. 1:50,000. Freycinet National Park's spectacular red granite peaks, pristine sandy beaches, turquoise waters and stunning coastal views combine to make it one of Tasmania's most popular national parks. $10.99 64-1388-135 Hartz Mountains National Park map. 1:50,000. Hartz Mountains was one of Tasmania's first popular bushwalking destinations. Today, visitors are still attracted to the area, much of which is now national park and preserved in Tasmania's Wilderness World Heritage Area - one of the last temperate wilderness areas in the world. $15.99 64-1388-139 Highland Lakes map. 1:200,000. The Central Highlands of Tasmania are a rugged area with impressive scenery and world class trout fishing in the thousands of lakes and tarns located throughout the Highland Lakes region. The map covers most of the plateau, it shows all of the lakes, how to get there along with launching facilities, accommodation, camping and caravan areas, fuel supplies and services. The reverse side features updated, detailed notes and maps covering the prime fishing lakes. The notes are packed with valuable information on regulations, fish types and the best fishing locations and methods. $7.99 64-1388-145 Lake St. Clair Day Walks map. 1:50,000. Cradle Mountain-Lake St Clair National Park encompasses a wide range of rugged mountain scenery, glacial tarns, forest and alpine moorlands. At 167m Lake St Clair is the deepest lake in Australia. $15.99 64-1388-146 Maria Island National Park map. 1:50,000. Maria Island is a charming, peaceful and relaxing place where you can immerse yourself in the island's intriguing history, abundant wildlife, beautiful scenery and deserted beaches. Access to the island is by ferry from Triabunna. $15.99 64-1388-129 South Coast Walks. 1:100,000. The Port Davey and South Coast tracks lie within the Tasmanian Wilderness World Heritage Area and are part of the Southwest National Park. There are no roads, no power lines and few modern conveniences The walks take the visitor to the southern extremity of an island at the world's end. This is wilderness. $15.99 64-1388-147 Tasman National Park map. 1:75,000. The Tasman and Forestier Peninsulas contain the highest vertical sea cliffs in Australia, evidence of 6000 years of Aboriginal occupation, the most renowned penal settlement in Australia, as well as diverse flora and fauna. $15.99 64-1388-130 Walls of Jerusalem National Park map. 1:25,000. The Walls of Jerusalem are located in a remote area of the Tasmanian highlands. There is no road access into the park and entry is only possible by walking. 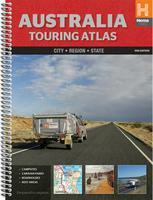 Australia Tourist Road and City Maps by Hema. $8.95 64-1388-28 Canberra. Various scales. $10.95 64-1388-08 Central Australia. 1:2,000,000. $10.95 64-1388-99 Gold Coast and Region. Various scales. $10.95 64-1388-29 Perth. Various scales. No date. $8.95 64-1388-18 Rockhampton & Gladstone. $10.99 64-1388-91 Victoria - Eastern & Western. 1:750,000. With descriptive text. $9.95 64-1392SYB 1 sheet, folded. Australia City Maps. UBD. These excellent maps are designed for the business traveler with information on public buildings, accomodations, banks, and more. All maps have a complete index. The double-sided maps listed below show the entire city and surrounding region in detail. The tourist maps show detail of the city center and an overview of the entire city area. $9.95 64-1392A Adelaide City & Suburbs Map. 1:25,000 & 1:100,000. UBD #562. $9.95 64-1392AD Adelaide Pocket City Map. 1:5,000 & 1:10,000 & 1:100,000. UBD #560. $9.95 64-1392AE Adelaide to the Wineries Map. UBD #583. $9.95 64-1392AL Alice Springs Tourist Map. 1:18,000. $9.95 64-1392B Brisbane Tourist Map. 1:8,500. $9.95 64-1392CA Cairns Tourist Map. 1:27,000. $9.95 64-1392C Canberra Tourist Map. 1:27,000. $9.95 64-1392D Darwin Tourist Map. 1:27,000. $9.95 64-1392H Hobart Tourist Map. 1:25,000. $9.95 64-1392IP Ipswich Tourist Map. UBD #464. $9.95 64-1392LB Launceston Tourist Map. UBD #781. $9.95 64-1392MAR Maryborough, Hervey Island Tourist Map. UBD #486. $12.95 64-1392MR Melbourne City Pocket Map. UBD #360. $9.95 64-1392N Melbourne Suburban Map. UBD #362. City center and suburbs. 1:115,000. $9.95 64-1392P Perth Tourist Map. 1:117,500. $9.95 64-1392S Sydney Suburban & City Map. 1:25,000 & 1:110,000. UBD #262. $10.99 64-1392SYD Sydney City & Suburbs Map. 1:5,000 & 1:10,000 & 1:110,000. UBD #218. $9.95 64-1392SYD Sydney Pocket Map. 1:7,500. UBD #260. Tasmania Visitors Map. 1:500,000. Tasmap, 2010. The Visitors Map is produced in conjunction with Tourism Tasmania. It covers the entire State at 1:500,000, with large scale town and city maps featured on the reverse side. The map highlights the Tasmanian Touring Routes and shows most tourist features and services. The route numbering system is clearly shown along with distances between most road junctions. This is the single most comprehensive Tourist Map of Tasmania - use it to plan your trip and locate national parks, historic features, information centres, major walks, ferries, markets, cruises, galleries, museums, fishing locations and all of the other exciting activities you can enjoy on your holiday. New on this edition are the locations for fuel outlets and accommodation. $10.99 64-1388-149 1 sheet, folded. $3.99 67-1070AUS Australia. Size 4 x 6 in. $9.95 67-1071AUS Australia. Size 8 x 12 in. $44.95 67-1073AUS Australia. Size 2 x 3 ft.